This post is part of Amy Johnson Crow's 52 Ancestors in 52 Weeks for 2018. The prompt for the week of January 29, 2018, is "In the Census." 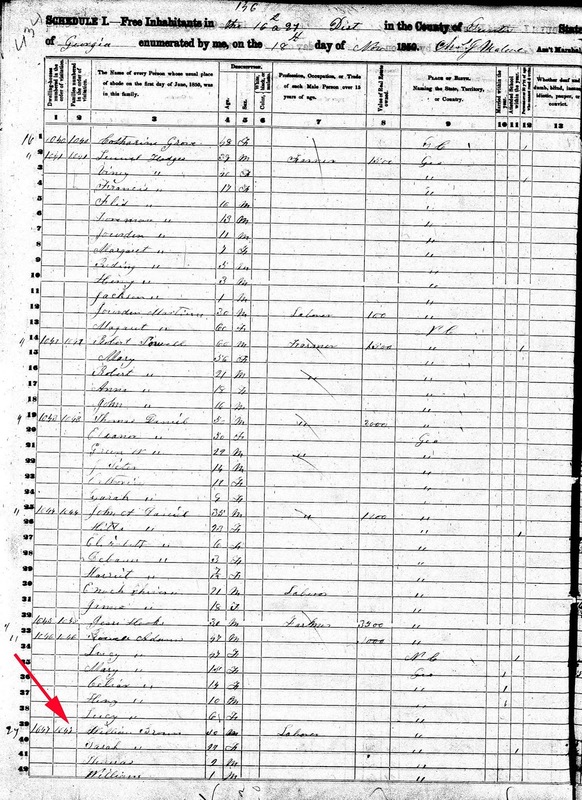 In spite of census records not always being accurate (not to mention, sometimes illegible), I love looking through them. They’re a snapshot in time of where our ancestors lived and what they were doing for a living on the day the enumerator stopped by their home, once every ten years. Makes me wonder sometimes, though, what was going on in those ten years in between. What changed? Sometimes they'd moved, added several more children or other family members, or lost a spouse through death, divorce, or abandonment. 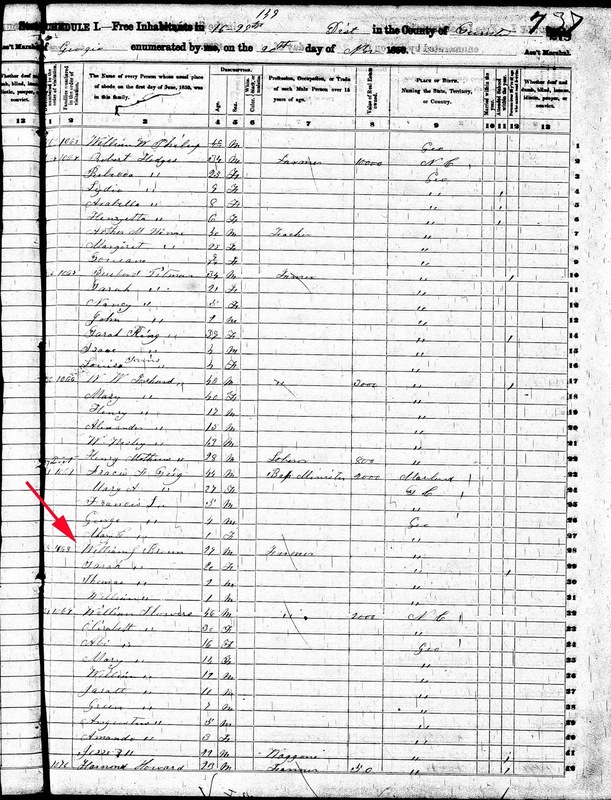 While researching my paternal second great grandparents, William Jackson Brown and Sarah Adams, I found that they were listed twice in the 1850 U.S. census for Sumter County Georgia. I doubt they owned two separate properties, but I could be wrong. 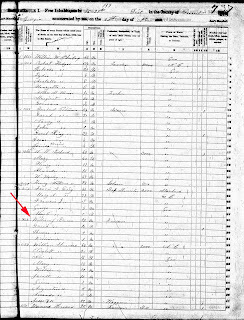 The first 1850 census for the Brown family (William and Sarah and their first two children Thomas and William) is dated November 18 (see below). The second enumeration in the 1850 census was taken two days later, on November 20 (see below). In each of the 1850 census records, the Browns are living near different neighbors, so the two pages aren't duplicates. 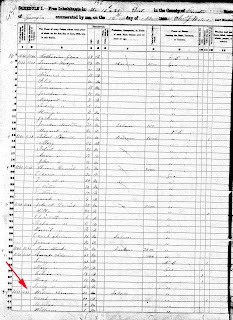 In the census dated November 18, 1850, they are living next to Sarah's parents Rowell and Lucy Adams, and William's occupation is recorded as laborer. In the November 20 record, he is listed as a farmer. I ultimately concluded they must have moved or maybe were in the process of moving, and whomever the enumerator spoke to at each residence didn’t know the information had already been reported. 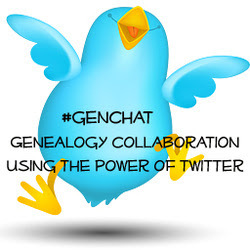 Finding an ancestor enumerated twice in the same census year sure beats not finding them at all!